His was an extraordinary life lived with an honesty as penetrating as his electric blue eyes, and shared as occasional snippets delivered dryly with his inimitable Flemish accent. A poignant obituary to Herman van Hecke. Herman van Hecke (left), Nigel Hughes (middle) and Jack Alderton (right) performing in an International Guest House Foreign Student function in 1986. It is already a year since a remarkable artist and art teacher died at Santiniketan — without anyone taking notice: the Belgian Herman van Hecke who first studied art at Kala-Bhavan and then became a teacher at the same institution. Hecke was the world’s last Beatnik. His was an extraordinary life lived with an honesty as penetrating as his electric blue eyes, and shared as occasional snippets delivered dryly with his inimitable Flemish accent. He grew up in Belgium with his parents and his older brother Eric, and as a young man became involved in the local arts scene in Gent, where he and friends in 1970 regenerated a major annual music and arts festival that persists to this day. Herman engaged in some of the earliest grass roots social movements and the depth of his counter-culture involvement was one of several surprising revelations about his life that I learned over the years of our friendship. After a stint in the merchant navy he worked for two years as a teacher in Belgium: his social security payments for those years eventually provided him with a pension that partly supported him in retirement in India. He had lived for another year in a forest in Australia under an old parachute. There he had been married and, I learned later, was father to two boys. He loved the wildness of Australia, and told me that he had regretted leaving the life he had there. But his vision of an unencumbered existence was overpowering and when I met him in 1985 in Santiniketan, he had already lived in India for several years, in Kerala, Chennai and Udaipur. His artwork from that period, commonly featuring elongated alien-like figures, attested to his involvement in the psychedelic culture of the time. Herman moved to Santiniketan in the early 1980’s and found its link to rural Bengal so appealing that he stayed permanently thereafter. When I first met Herman he was working on his PhD in art history. He was living in the International Guest House and served as the effective manager of the institution. 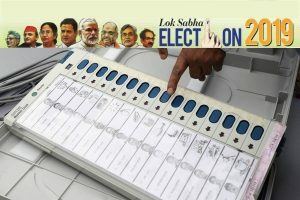 I had arrived at Santiniketan knowing no-one in the middle of a three day bandh, and had no idea of what I should be doing. Herman broke the lock of one of the vacant rooms in the guesthouse and had me fully installed in the room next to his. He then explained to Dr. Pranab Ghosh, the erstwhile Foreign Student Advisor that, “all had been taken care of”, and that was that. The next episode was the Vidya Bhavana Introductionary Function, at which all the foreign students were expected to perform. Anticipating some time on my hands, and knowing no musical instrument, I had brought with me a small ukulele-banjo and Herman insisted that I should perform a song solo within three weeks of picking up the instrument. Facing 400 talented Bengali arts students to sing and play was certainly the most terrifying public performance of my life. But the ramifications of this experience changed me, for soon I was writing and performing songs, including ones about fossils that have played a significant role in the success of my career as a scientist. Herman-da enjoyed organizing musical functions, both formally and informally, which he viewed as central to social cohesion. 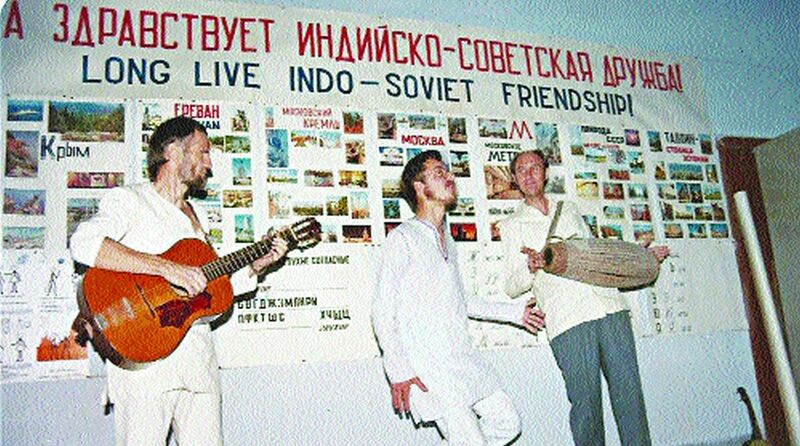 Somewhere I have a photograph of Australian Jack Alderton with mrindangam, Herman with guitar, and me singing “Jambalaya” under a sign that says “Long Live Indo-Soviet Friendship”. During my months in Santiniketan Herman was always there to provide council, and to discuss his view of the western world and its contrasts with India. He encouraged my expanding circle of friends as I became more familiar with the place, and supported my attending melas and other festivals. He remained a close friend ever since, as he did with many others following their own journeys. Herman was the first person to take me out into the countryside of Bengal, where he went daily in order to find subjects to paint and for its therapeutic value. There I learned that his view of Bengal was unapologetically romantic. He viewed village, and particularly Santali, life as simpler, more honest, and more in touch with the natural environment. His paintings commonly focused on rural subjects, sometimes entirely natural but mostly depicting human interactions with nature. Although romantic, Herman’s vision was always clear-eyed: “life is a struggle, yes” he asserted. I am not a particular fan of Herman’s painting style, but sometimes flashes of authenticity for me elevated the work beyond the level of its technical accomplishment. Unlike most sympathetic observers, including his set of devoted Belgian friends and patrons who helped to support his lifestyle by buying his artworks throughout his life, Herman actively sought to engage with his ideal by marrying into the adivasi community, and had loving relationship with Lokhi that survived the tragic death of her son. Herman was a man of tremendous physical endurance, and his decline both physically and mentally was protracted. Throughout it, and despite her own notable work as an artist, Lokhi persistently and kindly cared for Herman, and those of us who visited him knew that in her, he was a fortunate man indeed. With Lokhi he purchased the land on which they built their home, which for many years relied on its own well and was without electricity, in line with Herman’s commitment to live with minimal technology. I went home and continued my career as a geologist. And so, while he partially deprived himself of the chance to be a great father, to me and to many others he was among the greatest of elder brothers. Herman lived the truth as he saw it with single-minded commitment and honesty that outlived any other of his generation of dreamers.